After the holiday season, most of us start longing for the warmth of the tropical sun which means that island vacations are on everyone's dream list. There are many wonderful destinations to choose from, including the Caribbean, Hawaii and Florida. New Zealand is a great choice because it is summer there in January. Look for affordable airline tickets to Europe just after New Year's. Remote tropical islands such as Bora Bora, Tahiti and the Maldives are fabulous places to visit as well. If you are looking for ideas closer to home, browse our weekend getaways section. Here are the best January vacations. If you are looking for the perfect place to escape the winter chill in January, head to the tropics. 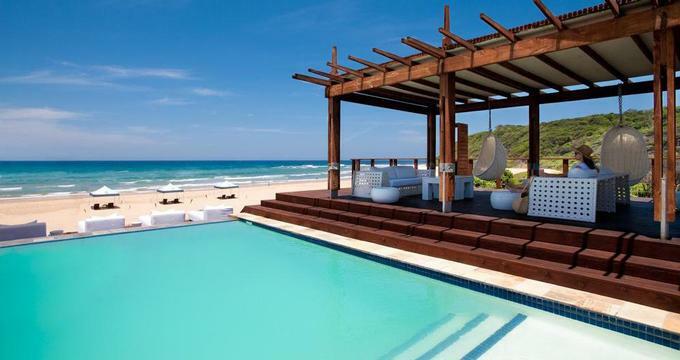 Shoes are optional at White Pearl Resorts, Ponta Mamoli, a luxury hideaway in southern Mozambique with a stunning white-sand beach and luxury suites with private pools. With decks facing the ocean, you can enjoy the view of the Indian Ocean while you cool off in the pool or the outdoor shower. The 21 guest accommodations are elegant and airy with an abundance of natural light. If you decide to venture out of your plush suite, the resort offers elegant areas with a view, perfect for relaxing. The swim-up bar serves refreshing beverages while the beach bar offers light snacks. The pool deck has four poster day beds and ocean views. Or take a stroll along the beach and find that perfect stretch of sand that calls to you. The Restaurant serves fruit and freshly baked pastries for breakfast, salads for lunch, and fresh seafood for dinner. Rates start at R4200 per person, including breakfast, lunch, snacks, a 3-course dinner, selected activities, soft drinks, and butler service (+258 84 605 8112). New Zealand is one of the best place to vacation in January. Fox Glacier Guiding is an eco-adventure company that offers a series of scenic walks and hikes that get you up close and personal with New Zealand's beautiful glaciers and rainforests. A good way to get started is the "Half Day Walk" which lasts about 4 hours with the bus transport to the glacial valley. The guided walk leads past the river bed to the glacier terminus. Another 30-minute hike uphill leads to the edge of the ice and onto the middle of the glacier where you can enjoy spectacular views. The company provides you with leather boots, crampons and other equipment for the trip. The guides provide a lot of information along the way about the natural surroundings. 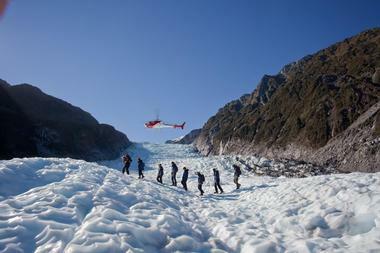 Fox Glacier Guiding offers other trips, including heli-hiking, overnight adventures, climbing and more. The company is a 6-hour drive west of Christchurch and 5 hours north of Queenstown. Loews Hotel New Orleans, located in the Central Business District near the Harrah's Casino, 10 minutes from the cruise ship terminal, is a weekend trip idea for couples and families. Choose from 285 plush guest rooms and suites with views of the Mississipi River and the city skyline. There is a 1,680 square foot fitness center and a 50' x 12' pool. Guests can indulge in a massage in one of the four spa treatment rooms. Cafe Adelaide and The Swizzle Stick Bar offer a varied dining experience. There is 24 hour room service. 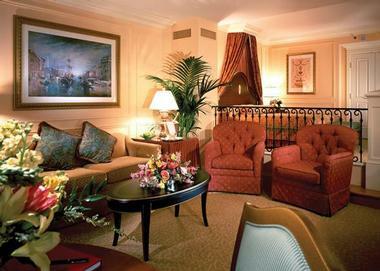 Rooms start at $169 per night (504-595-3300, 800-23-LOEWS). The Fairmont Monte Carlo is a luxury hotel in Monaco which just completed a 45 million Euro refurbishment. Enjoy massages, reflexology and a variety of other treatments at Willow Stream Spa. 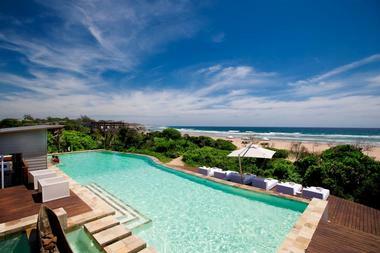 Afterwards, relax next to the stunning rooftop pool with views of the sea. The hotel has 602 rooms and suites with private terraces overlooking the Mediterranean Coast. Guests can choose from three restaurants, including Nobu, Saphir 24, and Horizon - Deck, Restaurant & Champagne Bar which offers 360-degree views. Doubles start at 349 Euro (+377-9350-6500). Flights to Europe are cheaper than ever in January, so it's a good idea to take advantage of great deals and head to one of the European cities. Waldorf Astoria Hotels & Resorts just open its luxury hotel in Berlin which offers 232 guest rooms and suites with spectacular city views. The hotel is located on high floors of the new Zoofenster skyscraper. 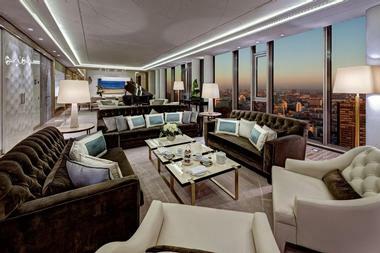 The presidential suite on the top floor of the skyscraper is the highest suite in all of Berlin. Guests staying at the hotel will be close to the city's famous tourist attractions, shopping and restaurants. The hotel has several dining venues, including "Les Solistes by Pierre Gagnaire". Relax and rejuvenate at the acclaimed French spa Guerlain with beautiful facilities and signature treatments. Room rates start at 255 Euro per night (49-30-814000-0). Annupuri Lodge is a lovely, inexpensive, family accommodation with nine simple but beautiful minimalist rooms decorated in natural and black woods. The lodge is located in quaint Annupuri Village in the popular Niseko ski resort, which is known for having about 50 feet of powdery snow every season. The lodge has its own popular bar named Lucky Fingers, with purple walls and a roulette wheel, and an outdoors hot spring bathhouse. It is conveniently located a few minutes' walk from the main gondola. There is a good Italian restaurant is across the street and a Korean BBQ is around the corner. The lodge has an onsite ski lab, Niseko Winter lab, if you want to improve your skills on the slopes. Visit the Liberty Bell, do some shopping and see a show while staying at the modern Radisson Blu Warwick Hotel, Philadelphia. Listed on the National Register of Historic Places, the hotel has been renovated in a modern style inspired by fashion. There are 301 guest accommodations, including Business Class rooms which give you access to the exclusive Lounge on the 11th floor. The Business Lounge serves breakfast and evening refreshments which are complimentary. Work out at the fitness center or request a massage in the privacy of your own room. There are several dining options at the hotel: Tavern 17, the Coffee Bar and the Prime Rib restaurant. 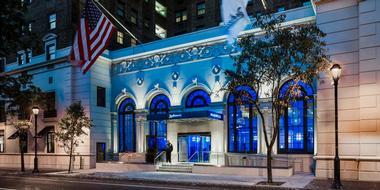 Rooms start at $119 per night, including free WiFi (215-735-6000). Nestled in the heart of historic downtown St Petersburg, The Cordova Inn is a charming boutique hotel that combines historic ambiance with modern amenities to offer guests an award-winning stay. Individually decorated guest rooms are spacious and airy with large windows that frame beautiful views of the garden and feature double, queen and king-sized beds, en-suite bathrooms with baths and showers, in-room refrigerators, microwaves and wet bars, and private verandas. Modern amenities include cable television, free high-speed Internet, and free local calls while a deluxe Continental breakfast is served each morning. The Cordova Inn is perfectly located in the heart of the waterfront district and within walking distance to the world famous St. Petersburg Pier, as well as the Sundial shopping area and many local museums and attractions. Rates start at $99. You may also like: 25 Best Romantic Getaways in St. Augustine, Florida. Las Vegas is a popular destination year-round. Look for great deals in January, right after New Year's and get away for a weekend of romance and great food. The Venetian Hotel Las Vegas features an array of attractions, ranging from replicas of famous landmarks to museums and shops. Right on the Las Vegas Strip is the famous clock tower, Columns of San Marco and San Teodoro, the Bridge of Sighs, the Rialto Bridge and the facade of the Doge's Palace. You can enter the hotel on the moving escalators over the Rialto Bridge from which you can enjoy scenic views of other Las Vegas attractions. One of the most popular attractions at the Venetian are romantic gondola rides offered by authentically-attired "gondolieri." If you are going to pop the question, wait until it gets dark for maximum effect. Visit the Grand Canal Shoppes for shopping, dining and to see the replica of St. Mark's Square. The whole area is covered with a man-made blue "sky" with puffy clouds. Tucked away in a quiet residential area of Jacksonville, this elegant guesthouse combines refined luxury with modern conveniences to offer a tranquil retreat in the heart of Florida. One of two historic homes that are left from the turn-of-the-century mansions that lined Riverside Avenue, The Riverdale Inn is designed and decorated to echo the Victorian era. Beautifully appointed guest rooms boast romantic four-poster beds, ornate fireplaces, plush furnishings and luxurious en-suite bathrooms (some with whirlpool tubs or body jet showers). Deluxe amenities abound, including air-conditioning and free Wi-Fi, a pantry stocked with drinks and snacks, and a delicious gourmet breakfast in the sunny breakfast room every morning. A magnificent landscaped garden is ideal for relaxing and a short stroll takes you into the nearby town, which is home to an array of museums, galleries, shops, and restaurants. Rates start at $145. 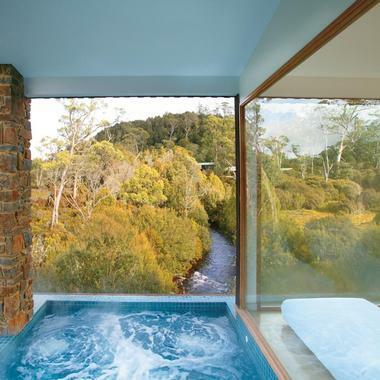 Peppers Cradle Mountain Lodge is a spa hideaway located in the Tasmanian wilderness next to the Cradle Mountain/Lake St. Clair National Park in Australia. Enjoy pristine nature, spectacular views, and a choice of outdoor activities. There are 20 different guided walking tracks around the lakes, ranging from easy to difficult. Activities at the lodge include a ropes course and a native animal slide presentation. In summer, guest can enjoy canoeing, mountain biking and fly fishing, while winter vacation activities include tobogganing and a snow shuttle. You can also sign up for a Tasmanian wine and cheese tasting tour. 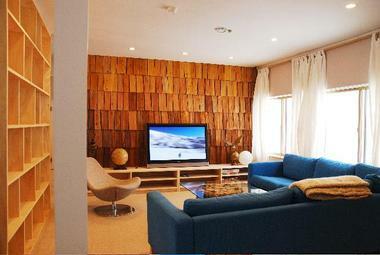 The Fresh Hotel is a luxury hotel in downtown Athens, Greece. On your vacation to Athens, head to the Air Lounge Roof Bar at the hotel, relax next to the pool, and enjoy the view of the Acropolis from your poolside lounge chair. In addition to the roof-top swimming pool with panoramic views of Athens, the spa at the hotel has a sauna, Turkish bath as well as various massage treatments. The Fhotel has 124 standard rooms, including 6 executive rooms with private zen gardens and 3 suites. If you are planning a family vacation to Greece, remember to request connecting rooms. 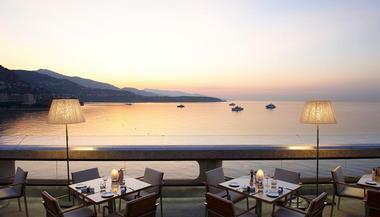 The Magenta Restaurant and the elegant Orange Bar serve fresh-from-the-market nouveau grec cuisine. The roof-top Air Bar serves finger food and cocktails overlooking the Acropolis and the town (from May to September). The hotel is located in the heart of Athens, in the business district, just steps away from the old city of Plaka and Monastiraki. 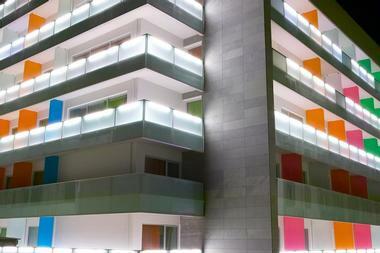 There is easy access to Syntagma and Kolonaki and the Omonia Metro station is very close to the hotel. Room rates at the Fresh Hotel start at €125 (+30 210 5248511). The Caribbean islands are a beach lover's paradise. Great romantic January vacations include The House in Barbados where you can get a suite overlooking the blue Caribbean sea. Covecastles beach resort in Anguilla has villa accommodations and offers a variety of vacation activities. Bahamas is relatively easy to get to and offers several family-friendly vacation resorts. Melia Nassau Beach features a beautiful sandy beach, pools, waterfalls, whirlpools, a kid's pool, and a swim-up bar. Atlantis Paradise Island Resort continues to be a Caribbean family vacation classic, offering something for everyone, including jaw-dropping attractions, pools, spa, restaurants and a choice of accommodations for a range of budgets. January winter vacation ideas in Hawaii include Wailea Beach Villas, stylish beach resorts on Oahu, and more secluded getaways on the Big Island of Hawaii, such as The Fairmont Orchid. A sunset from Waikiki Beach is a sight not to be missed on your romantic Hawaii vacation. Enjoy the sunset right from the beach or plan a romantic dinner for two at a beachfront restaurant such as the Surf Room Restaurant at the Royal Hawaiian. If you decide to go for a walk along Kalakaua Avenue which runs parallel to the beach, watch the sunset from the Duke Kahanamoku Statue or Kuhio Beach Park. Watch the surfers catch the waves just off Waikiki Beach when the sun sets behind the Pacific Ocean. It's usually the case that if you rise early on your vacation you can have the place to yourself. This is certainly true when staying on Waikiki Beach. If you enjoy walking on vacation, take a morning stroll down the beach and along Kalakaua Avenue which runs parallel to Waikiki Beach. Most stores will be closed and you'll encounter few people. Places that are crowded during the day will be empty, except for an occasional jogger or surfer. A few places open quite early for breakfast, so that on your way back you can sit down and enjoy a good meal after your walk. Few things will ruin your vacation faster than arriving at the resort of your dreams only to be given the key to a unclean room. Hotels and resorts all around the world understand the fact that guests won't stay in a filthy room and endeavor to do their best to clean every room and public area of their hotel thoroughly. However, in their quest to eradicate dust, stains and germs from all surfaces in the hotel, many hotels are using very harsh chemicals in large quantities. Chemical build-up can also be bad for guests but not many realize it. In Hawaii, the Fairmont Orchid has taken environmentally friendly hotel maintence to a higher level. The housekeeping team has switched to botanical cleansers and disinfectants, while the landscaping team (in charge of the resort's beautiful grounds) has switched to organic methods. At the same time oceanographers are monitoring the health of the coral reef at the resort. The hotel uses Benefect, a Canadian product line developed by Sensible Life Products that surpasses both the Environmental Protection Agency (EPA) and Health Canada requirements for hospital-grade disinfectants. When you walk through the hotel you won't smell any harsh chemicals but a fresh spring-like aroma from a blend of thyme, clove and lemongrass oils. So when you return from at vacation a the Fairmont Orchid you may not realize it but the hotel's use of botanical cleansers and disinfectants is one more reasons that you will leave feeling relaxed and refreshed. You may decide to switch to natural cleansers in your own home. Miami is easy to get to with so many daily flights available, and offers a wide range of things to do: from relaxing on the sand, to spas and nightclubs. If you want to be right in the heart of the famous South Beach, stay at the stylish Tides Hotel. 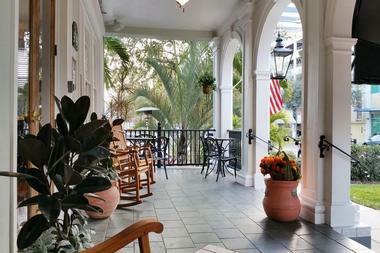 The Biltmore Hotel of Coral Gables is located on 150 acres near Miami, offering golf, spa and poolside luxury. Expect to find some great winter deals in Mexico this year and several new hotels. Banyan Tree Mayakoba is an all-suite getaway with a luxurious spa. Grand Velas Riviera Maya offers scenic ocean views from nearly every suite. Set on a private peninsula in Baja California, Palmilla Resort is another great resort in Mexico. 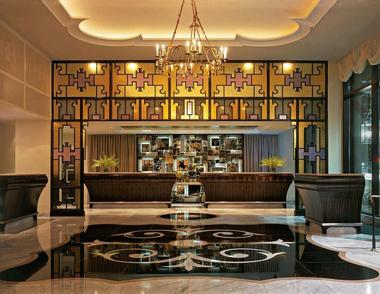 The Mosaic Hotel Beverly Hills is a boutique hotel near Rodeo Drive. The hotel has a heated garden pool where guests can relax in the sun and provides a luxury base for exploring the area. There are 49 guest suites furnished with luxury amenities like the Bose stereo system, Bulgari bath products and 450tc Fili'Doro linens. In addition to high-speed wired and wifi internet access, each room has a wireless keyboard access in case you decide to leave your laptop at home. Choose from rooms facing the quiet garden courtyard or a residential street. Each morning, the hotel delivers a newspaper of your choice. The Sports Activity Center features a Wii fitness area, treadmills and flat screen TVs. If you prefer, the 40,000-foot Equinox fitness complex is available to hotel guests for $30 per day Signature restaurant Hush serves California cuisine for breakfast, lunch or dinner. Room rates start at $225 per night. For ski enthusiasts, there are many excellent options. If you have time, plan a trip to Europe and stay at the Cristallo Palace in Cortina, a famous Italian ski town. In Colorado, The St. Regis Aspen offers attentive service and a central location. The Sonnenalp Resort of Vail has a European spa and is near 5,000 acres of skiable terrain. The Woodstock Inn in Vermont is a destination for cross-country skiing fans, offering 75 kilometers of trails. Castle Hill Resort provides access to Okemo Mountain Resort's skiing, snowboarding and snowshoeing. Head to the tropics for sunbathing, spas and ocean views. Likuliku in Fiji offers great scuba diving and romantic accommodations. The British Virgin Islands are well known for their powdery white beaches. Romantic inns in California, Vermont, Virginia, New York and other destinations provide a quick winter getaway from the city. Browse getaways by month: December, February and March.